Let us immerse you in a completely different world ! 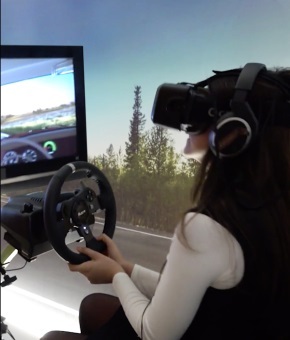 Our imagineers can develop amazing experiences, productions and applications so your brand, product, data or ideas can be visualised in the virtual world via a variety of headsets, simulations, online video/social platforms and bespoke physical spaces. We can connect your audience to your idea using innovative real time interactive 3D graphics ! 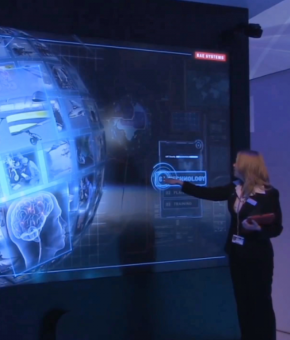 using interactive multi touch applications for interactive surfaces, video walls, projections for live broadcasts/events, channel branding, presentations, events, exhibitions, showrooms and retail spaces. 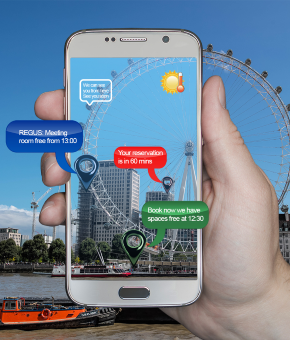 Our AR blends ‘digital’ with the ‘real world’. Our cleverly designed Apps allow you to integrate and view any 3D object or three dimensional data into a live environment, presenting us with a limitless opportunities to connect interactive three dimensional products or instructional services into the world around you, via any screen or device. We can combine virtual processes, graphics and data overlays and make them interact with the real world? 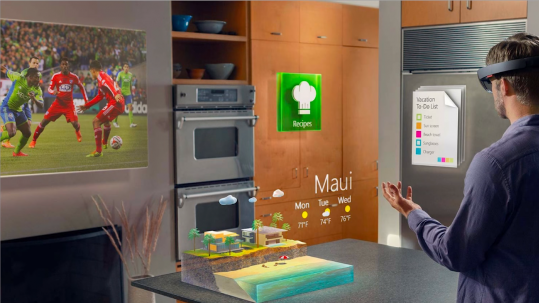 Our innovative development team can create agnostic interactive user experiences for specialist devices, such as ‘Microsoft Hololens’, to help instruct, demonstrate and visualise your projects and processes in real time. We understand the importance of individual brands being able to stand out from the crowd. That’s why we create premium quality computer generated visualisations of your product that can be universally integrated across a multi media spectrum via a combination of 3D rendering, animation and application development. Let your audience virtually explore your brands journey with a VR headset, place your product in the real world through the eyes of their smartphone or configure their purchase preferences on an interactive screen and connect them into the complete experience. 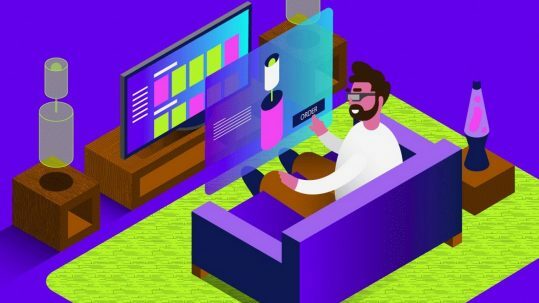 We make entertainment a unique user experience that pushes boundaries through creative content and technology. From broadcasting real time graphics taking the viewer to the heart of the action, to bringing a historic painting to life with augmented reality, we can add an extra dimension to the overall experience. We can incorporate large interactive real time displays to live events and broadcasts, add a virtual reality layer to an attraction, make an exhibit come to life via a bespoke immersive experience and create a motion simulated tour of a dream world. We combine highly personalised immersive content with innovative technology to help transform the traditional 'high street' shop into an engaging showroom that offers consumers a new type of retail immersion. 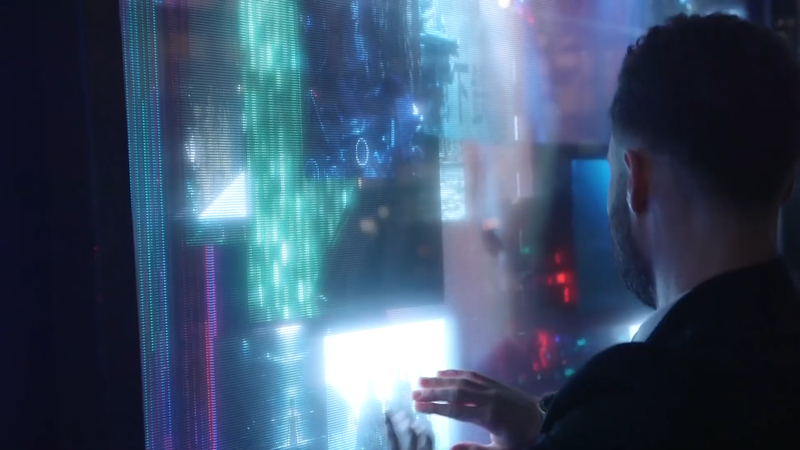 From holographic product visualisations that can be configured to the clients personal preferences to applications that take customers on a journey behind a brand, we are able to create emotionally connected experiences and stories to help retailers position themselves for a changing technological landscape. We create immersive content for demonstration and learning within the healthcare and education sector. From a virtual demonstration of how a new medication enters the blood system to interactive applications that teach children about the world around them, our innovative design team can create amazing bespoke experiences to complement your projects. We can transfer content to virtual motion platforms, large screen interactive displays or develop an augmented reality application for use with smart devices. Through a combination of innovative content and technology we are able to develop applications and experience to assist the manufacturing, automotive, finance and hospitality industries. We can create interactive displays and applications for prototype visualisation, product configuration, real time data analysis, presentations and exhibitions to help companies develop and promote their products and services. In addition we can develop workplace training experiences and remote applications to help increase efficiency and service levels. Technology, like never before, is giving us the ability to explore virtual spaces from anywhere in the world. We work with fellow content creators such as architects and designers to transform 2D plans into amazing 3D virtual environments. By creating life scale walk through spaces for proposed developments we are able to complement the design and decision process prior to construction. 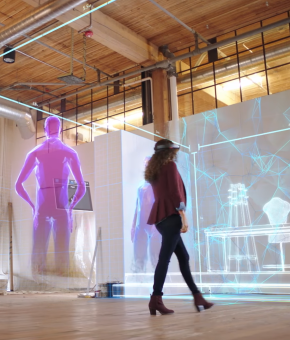 And with virtual and augmented reality applications we can assist the marketing process by giving consumers the ability to interact with a new office, home or commercial space wherever they are. 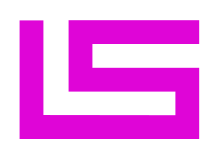 We love creating amazing experiences for brands, enterprise, education, healthcare, property, entertainment and the attractions industry. Check out some exciting experiences to see how they can help you stay ahead of the curve!